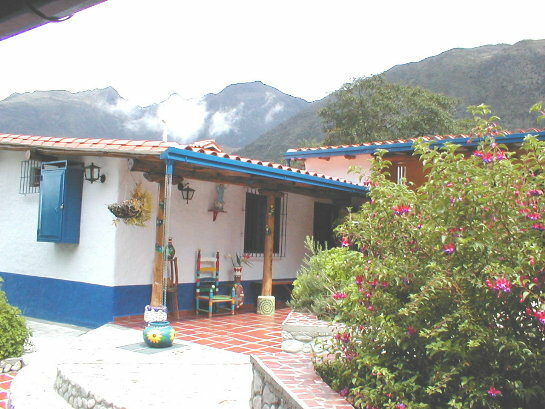 It offers a place of beauty, enjoyment and peace in the Paramo of the Valley. We will treat you in a special way and you will feel like family. 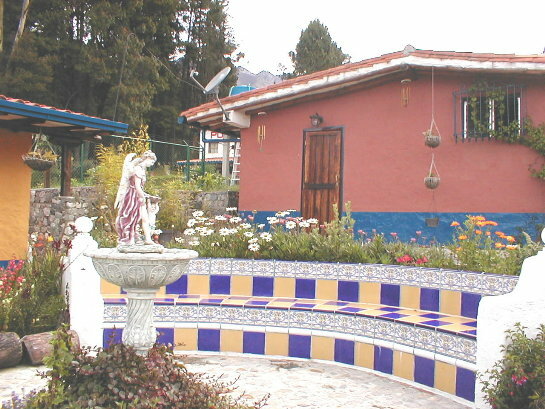 Enjoy a vacation surrounded by flower gardens and inviting mountain: The place is a small hamlet of farmers with average temperature of 12 º C, at 2700 meters above sea level Merida traditional climate. Our cabins combine rustic warmth with bold colors and lively. They have hot water, heating, TV. satellite, dining room and equipped kitchen (refrigerator, oven, coffee maker, dishes, pots) with its surrounding garden and parking. Suitable for 4 persons, with fireplace, bedroom with double bed. Designed for 5 persons, bedroom with double bed and other bedroom with bunk beds. 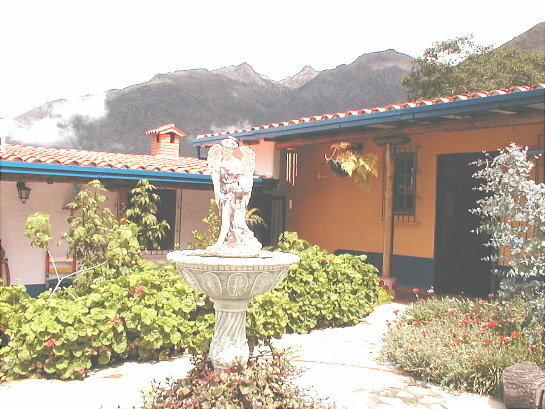 The Valley (El Valle), highway principal, sector Paramo of La Culata. Km 17. 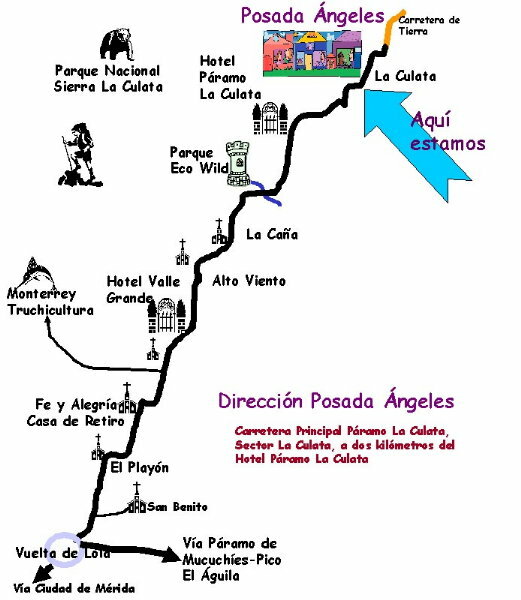 Copyright: Posada Angeles Hosting & promotion by Turismo Andes.net, S.R.L.